I use Vimeo to document the artists on K that come to Chicago. When I ran into an issue of not being able to upload as much HD content as I would like early last year, Vimeo’s dalas verdugo was there to help by increasing my weekly capacity on the spot. I mentioned to dalas that I would pay for a further increase, should they provide the service. 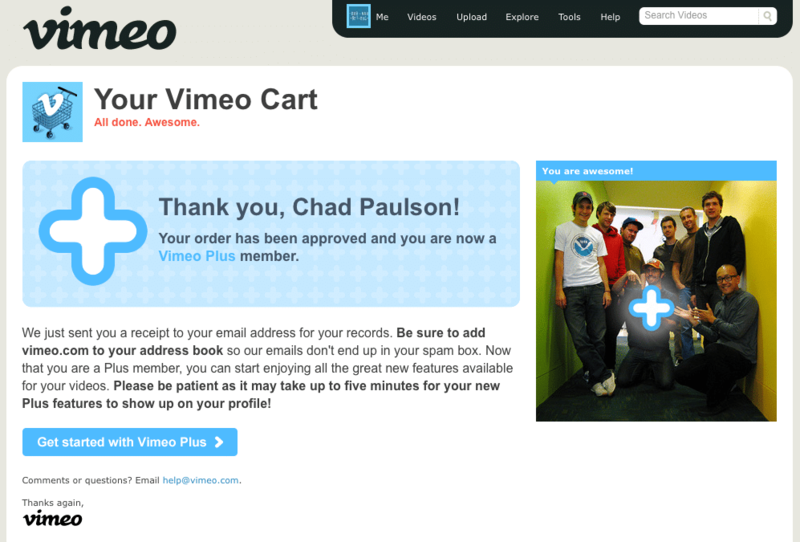 I am now a very happy Vimeo Plus member and continue to be impressed by Vimeo’s strong Customer Service, not to mention the agile and transparent Development team making it all happen. I use YouTube for free, but I would never pay for the service despite the fact I get 4X the amount of views there by default. Great products and services are simply worth paying for. Thanks Vimeo.